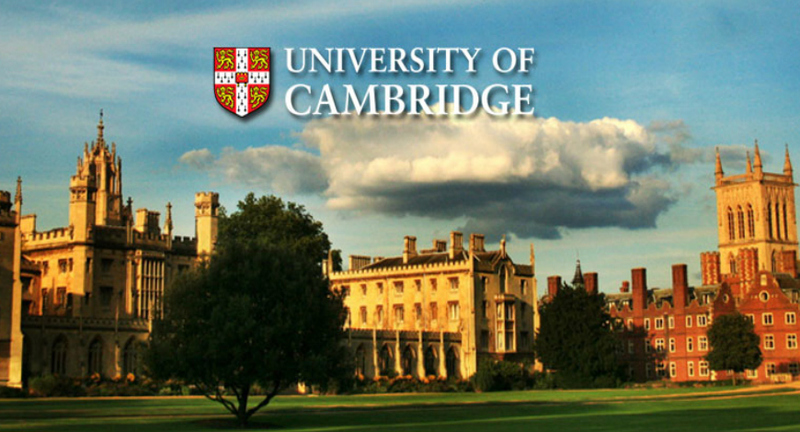 Applications are invited for a lecturer position to join University of Cambridge, UK. The funds for this position are available for five years. This position is closed on December 31, 2018. The Department of Chemistry invites applications for a University Lectureship in atmospheric chemistry to be taken up as soon as possible. We seek to appoint a person whose research interests will complement or extend (but not duplicate) the current profile of atmospheric chemistry research in the Department. Areas of interest include but are not restricted to: (i) Laboratory-based or field measurements of atmospheric composition including instrument development and data interpretation; (ii) The acquisition and interpretation of chemical composition and/or emission data from satellite sensors or other remote-sensing methods; (iii) The impact of climate on human health, especially in regard to air quality and the built environment; (iv) The development and use of new analytical laboratory-based techniques, e.g. for palaeoclimatology studies aiming to better understand palaeo-atmospheric composition changes. The successful applicant will have an outstanding record of independent research in atmospheric chemistry or related areas, and will be expected to develop a vigorous, high quality and externally-funded research programme at an international level. Interdisciplinary and collaborative research is strongly encouraged across the university and its associated institutes. Candidates must demonstrate a firm commitment to teaching at both undergraduate and postgraduate levels within the Department, and will be expected to contribute to and develop courses within the general area of atmospheric chemistry, as well as teaching topics in core physical chemistry. Applicants must have a PhD degree in a relevant subject, significant post-doctoral experience, and strong evidence of research excellence. Appointment will be to the retiring age, subject to a probationary period of five years. Information about the Department’s research and teaching activities is available on the Department’s website (http://www.ch.cam.ac.uk). Informal enquiries about the position can be made to Professor Rod Jones (rlj1001@cam.ac.uk). Applications should include a cover letter, a CV, publications list, contact details for three referees, and a statement (up to eight pages) covering research experience to date and research plans for the future, including a discussion of how the research might be funded. We anticipate holding interviews in late March or early April 2019.